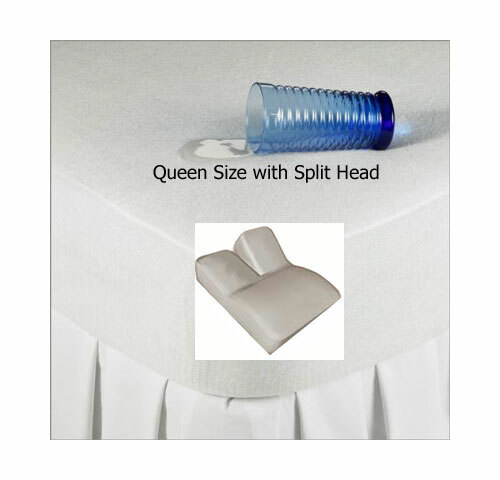 Split Head Mattress Protector designed for adjustable beds. 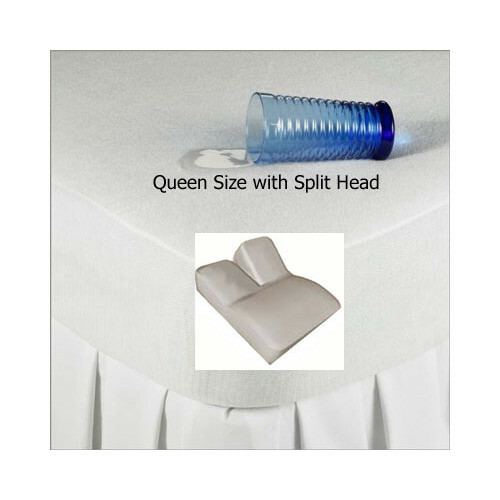 King Size - Split Head Mattress protector - fits mattresses up to 16" thick - can be used for Dormia, Comfortaire and Natura beds. The head of the protector is sown separately half way down the center of the bed, so it accomodates the split head adjustment. 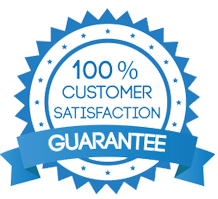 Size: SPLIT-HEAD for King Size Split Head Adjustable Bed Mattresses 76" x 80"
With beautiful detailing and contrasting embroidered satin stitching, Gotcha Covered luxurious adjustable bed sheets are made to fit, designed as they are for special mattress sizes and specific depths.